A side project by mind.in.a.box mastermind Stefan Poiss. Electronic sounds, bombastic arrangements, melodies and voices, mixed with emotions from another dimension. 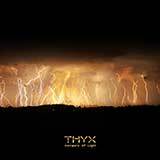 Atmospheres from cyberspace, a musical image from a far-away future from which THYX speaks to us and carries its sound cosmos directly into the brains of listeners. 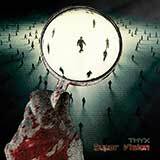 THYX originally was a song written by Poiss about 15 years ago. For him this name is a synonym for a specific kind of soundscape. Poiss had discovered something back then, a rift in time, a sound between notes. A coincidental anomaly in sound that he now tries to recreate. The music of THYX is the product of the search for this phenomenon. Without compromise he tries to find again what he once had discovered. 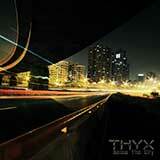 THYX. The wave between sound and resonance.